Click the image to view more before & afters! We offer a low moisture extraction, deep cleaning, and quick drying carpet cleaning solution. This solution cleans deeply and completely in just one pass, and it usually dries in less than one hour. At McCall’s Carpet Cleaning, we handle whole house carpet cleaning as well as individual rooms, pet stains, spot removal, deodorizing, and high traffic carpet areas only cleaning. Green cleaning and EPA approved cleaning are also available. Are you concerned with who comes into your home? 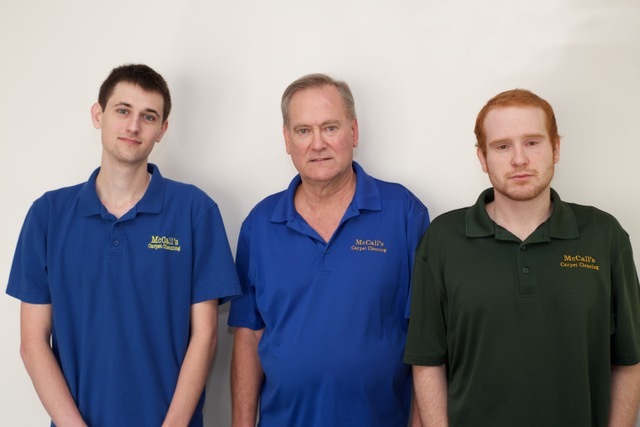 McCall’s Carpet Cleaning is a family owned and operated business, with Art McCall and his sons (Josh and Zack, featured in the picture to the right) performing all of the service calls. This provides us with stability and reliability; it provides you piece of mind when it comes to who you let into your house. We don’t try to sell you extra services to run up your bill. Many carpet cleaners make more on their “extra” commissions than on their “regular cleaning” commissions. 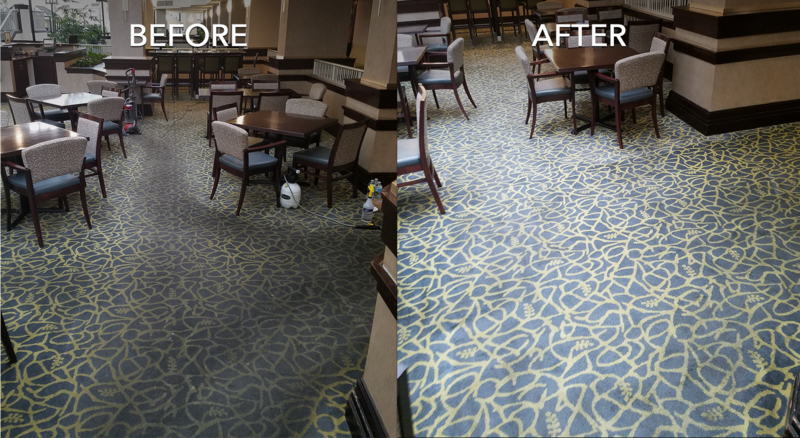 Our philosophy is to provide you with the honest and best solution you need to clean your carpet. We don’t offer deals to get your business and then try to sell you extra services that run up your bill (and the commission of the carpet cleaner).